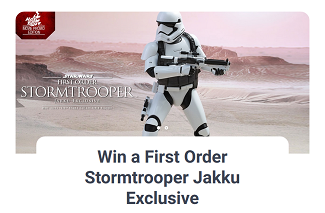 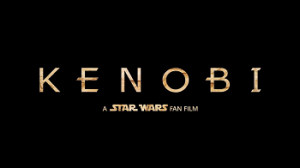 The Late Show with Stephen Colbert explored the many products that have come out for The Force Awakens. 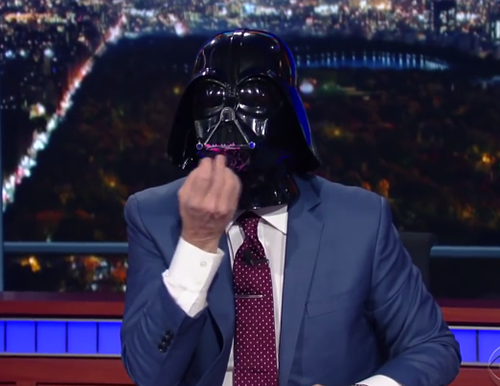 Colbert started by making sure that everyone knew that he was a “HUGE Star Wars fan”. 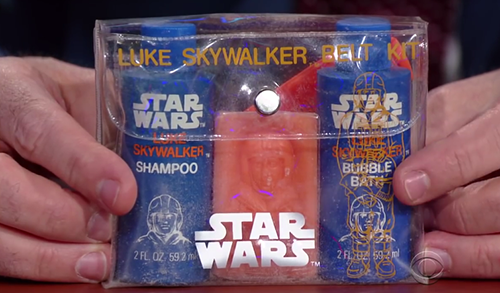 We even got to see a childhood product from Star Wars that Colbert used to own – Luke Skywalker bath soaps. 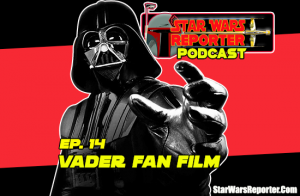 One of my favorite parts was when he put on a Darth Vader helmet and then applied the Star War Cover Girl make-up to the mask! 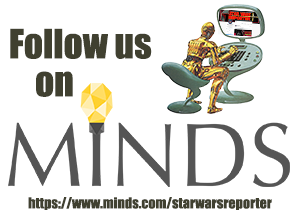 The Force Awakens ADVANCED Tickets Sales TOP $50 Million!